This new gusset kit is a great way to add some extra stability to your family interior bar cage. This kit includes a total of 8 rollbar gussets. 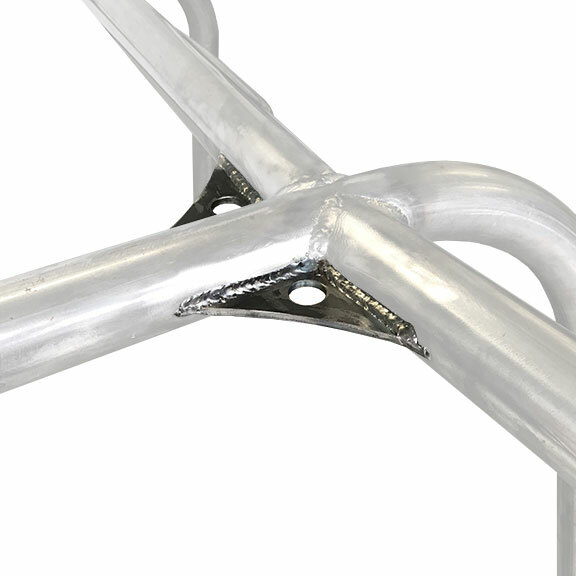 These are to be welded into the corners of your interior bar to provide additional bracing to prevent the bar from flexing under tension.